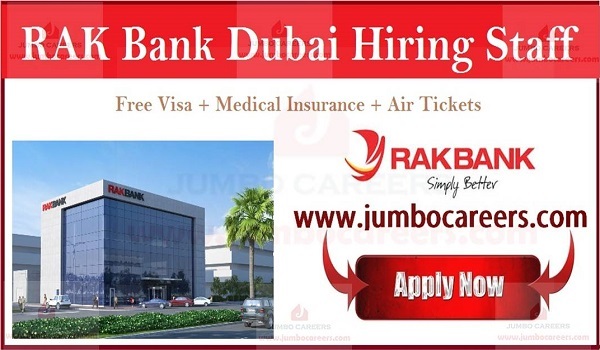 Ras Al Kahima Semi Government firm National Bank Of Ras Al Khaimah ( RAK BANK) is conducting latest Walk in Interview for hiring Walk-in Interviews Credit Card Sales Officers-Direct Sales for Dubai. RAK Bank offer a competitive salary plus lucrative monthly sales incentives and benefits including medical insurance and airfare to hometown. Promote and sell banking products such as credit cards and deliver on agreed targets through building relationships. carry updated CV and last 6 months bank statements which reflect incentives.